The Palestinian Health Ministry has confirmed that a child died, Tuesday, from serious wounds he suffered, last Friday, after Israeli soldiers shot him, east of Khan Younis, in the southern part of the Gaza Strip. 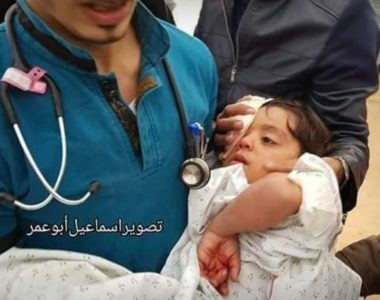 The Health Ministry said the soldiers shot the child, Ahmad Yasser Sabri Abu ‘Aabed, 4, with expanding bullets, one in his eye, and one in his abdomen, causing very serious wounds. The child was rushed to a hospital in Khan Younis, underwent a surgery, and remained in a critical condition at the Intensive Care Unit, until he succumbed to his wounds. 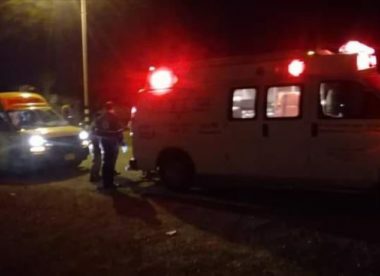 On Tuesday, the soldiers shot eleven Palestinians, including one medic, during the 19th weekly 19th protest against the Israeli naval blockade on the coastal Strip. On the day of Ahmad’s serious injury, Friday December 7, 2018, the 37th Friday of the Great March of Return and Breaking the Siege on Gaza, the soldiers shot 72 Palestinian civilians, including 11 children and 2 paramedics.